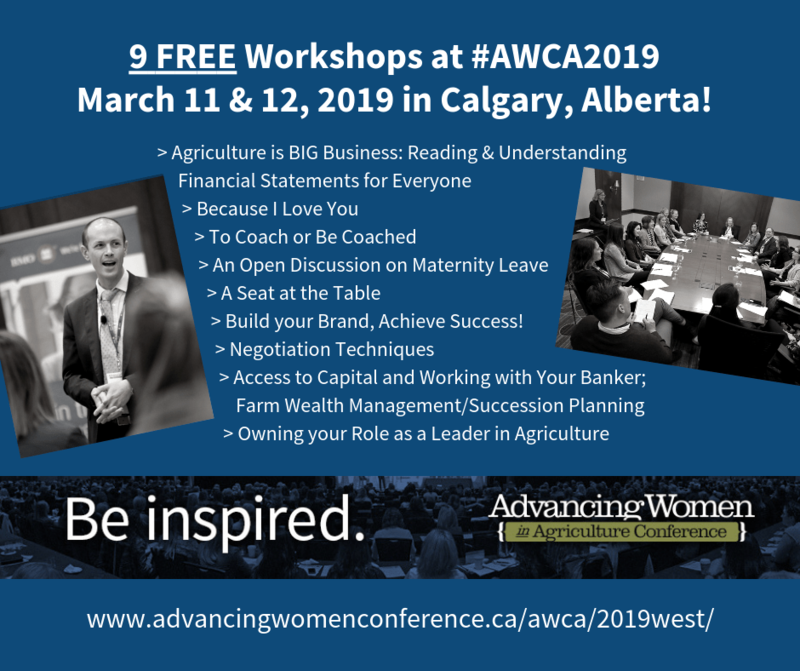 One of the workshop presenters at this year’s Advancing Women in Agriculture Conference in Calgary is Gail Schafer from Global Ag Risk Solutions. Schafer says the session is titled a Seat at the Table. “I think one of the hold-backs for women in participating more actively in a leadership role is knowing how to access it, because traditionally we don’t think of things the same way, we don’t necessarily pull up a chair and participate in the same way that other folks do,” says Schafer. Schafer says it is meant for women who want to take a more active leadership role on the farm and in the industry. Schafer says she has found the pre-conference workshops at the Advancing Women in Agriculture conference to be very interactive. The conference is taking place March 11 and 12 at the Hyatt Regency. Rural Roots Canada is a proud sponsor of the Advancing Women in Ag Conference.